Nigerian Business Law Firm: 7 Ways We Help Exporters and Offshore Investors to Open in Nigeria - Law Firm in Nigeria - Lawyers in Nigeria. To help you enter the Nigerian market, we provide you professional guidance on how to navigate regulations on immigration, business formation, customs, cross-border trade, intellectual property, antitrust, taxation, etc. We can further represent your interests in contract negotiation and enforcement, joint venture and partnerships, the perfection of legal documentation, acquisition of government incentives, company secretarial services, project finance, debt restructuring, credit sales, debt recovery, non-compete, employment, foreign exchange, due diligence and legal compliance issues. Trade missions bring you in direct contact with potential agents, distributors, joint venture partners, licensees, local businesses and government contacts in Nigeria. By getting in touch with us, we can help represent your interests to these Nigerian companies and governments. It is mandatory for businesses in Nigeria to be registered with the Corporate Affairs Commission (CAC) either as a Business Name or as a Company. As CAC accredited solicitors, we can help you prepare and file incorporation deeds with the CAC and incorporate the company as a legal entity in Nigeria to commence business. We know that you want to safeguard your intellectual property, that’s why we can register your proprietary assets for you at the Trademarks, Patents and Designs Registry to safeguard and protect same. 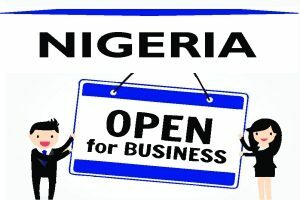 We can help obtain licences and permits from relevant government agencies such as Nigeria Immigration Service, Standard Organizations of Nigeria, National Agency for Food and Drug Administration and Control (NAFDAC), Nigerian Investments Promotions Commission (NIPC), National Office for Technology Acquisition and Promotion (NOTAP), Nigerian Copyright Commission (NCC), Nigerian Customs Service, Central Bank of Nigeria (CBN), etc. to enable you comply with the statutory obligations of relevant laws. Understanding that you will need a Tax Identification Number (TIN), Value Added Tax (VAT) Number and Tax Clearance Certificates (TCC) to execute certain processes e.g. to open a corporate account with a bank, we can help you obtain same from the Federal Inland Revenue Service (FIRS), which is the body responsible for corporate taxes in Nigeria. We can offer you information on the available tax incentives in Nigeria and assist you to file your tax returns. If you are looking to purchase or lease a commercial space or office location, we can assist you with available options. The acquisition and development of land in Nigeria are perfected at the state or local government office where the land is situated. We can carry out due diligence and fulfil regulatory requirements across state jurisdictions. 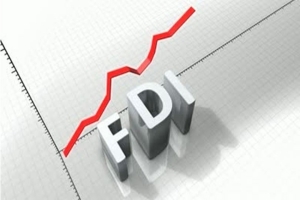 Exporters, overseas investors or offshore companies can hold 100% equity stake in a Nigerian company. However, offshore entities wishing to set up business operations in Nigeria are required to obtain incorporation of their Nigerian subsidiary as a separate entity in Nigeria for that purpose. Through a Power of Attorney, we can assist you in the incorporation of your subsidiary and make entry into Nigeria the right way.